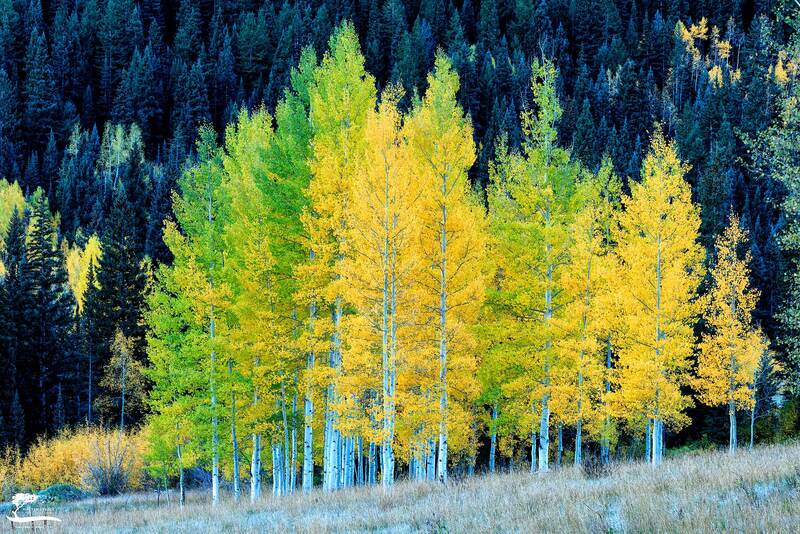 This is the same little Aspen grove I photographed several years ago. The only difference being that the previous time was snow-covered. . Photo © copyright by Kevin Reaves.